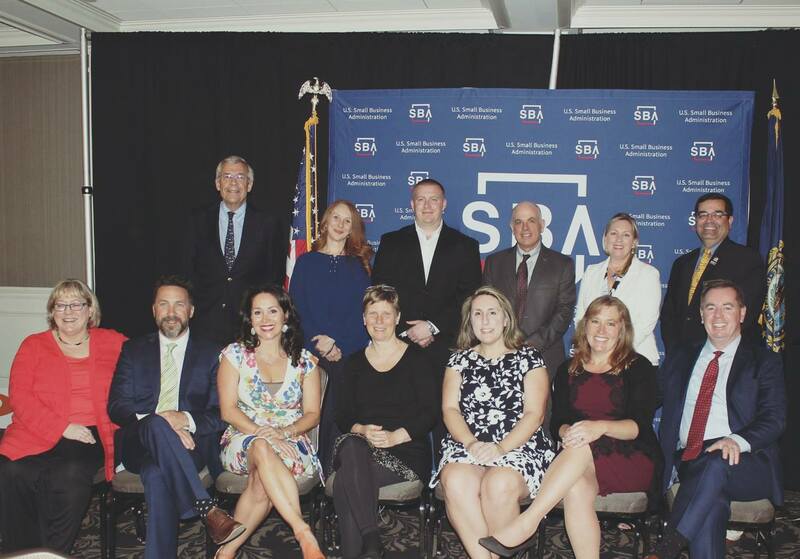 CRDC is pleased to announce the NH SBA recently named CRDC's Loan Officer Jennifer Boulanger as this year's NH Small Business Financial Services Champion. In celebration of this year's New Hampshire Small Business Week sponsored by the NH SBA - Jennifer was recognized for her hard work, dedication and committment to her customers. Nominated by one of CRDC''s lending partners, Mike Vlahos, VP of Commercial Lending at Merrimack County Savings Bank, Jennifer accepted the award on behalf of the entire CRDC team; "this recognition, while in my name, is truly a reflection of the combined efforts of CRDC as a whole which includes the staff as well as our Board Members," said Jennifer. Jennifer was one of eight people recognized at the annual event which was held at the Manchester Country Club in Bedford. The event was co-hosted by the NH SBA and the NH Bankers Association. Mike Vlahos, VP Commerical Loan Officer at Merrimack County Savings Bank nominated Jennifer for the prestigious recognition.